Healthcare, pharmaceuticals, biotechnology, life science labs, and universities have laboratories equipped for scientific experiments, research, teaching or the manufacture of drugs or chemicals. A laboratory is a place where students, researchers, and technicians may spend a lot of time seated performing various tasks in any given day. 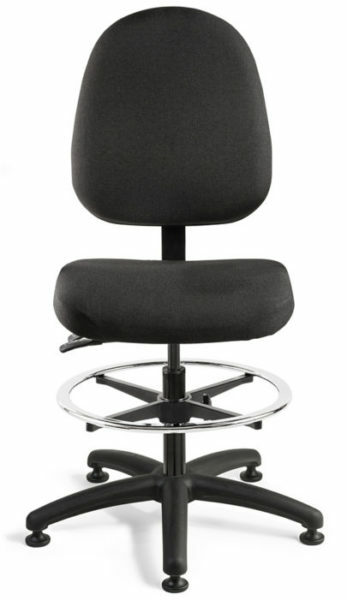 Ergonomics plays a large role in ensuring the overall wellness and safety in a laboratory. Properly designed lab seating is essential to keeping strains and injuries at bay by encouraging proper posture and providing adequate support throughout the day. Needs will vary greatly from lab to lab, which is why it’s important that you can trust Bevco’s made-to-order laboratory chairs will suit your specific desires and preferences. 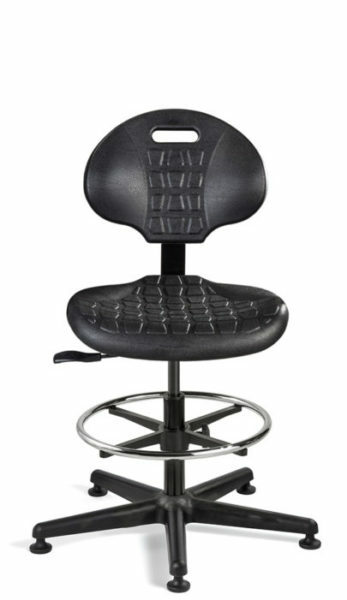 Bevco lab chairs can be designed to achieve the optimal forward tilt that is necessary to stay comfortable while working with microscopes or other equipment that requires a forward leaning position. 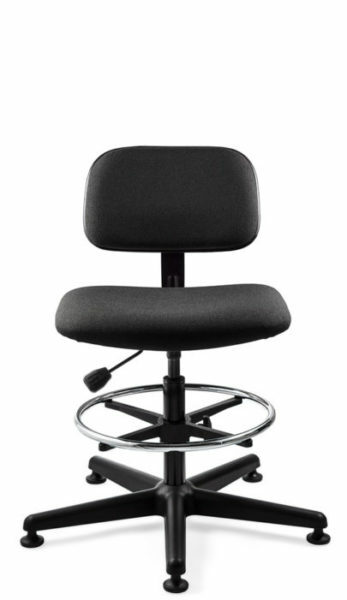 Bevco manufactures all lab chairs so ergonomic adjustments can be made easily and quickly allowing you to stay focused on making advancements in your work. 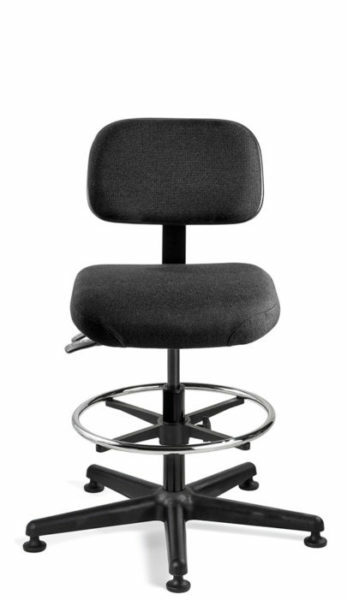 Whether you need a standard laboratory stool or a highly technical laboratory stool for a critical environment, Bevco has you covered. 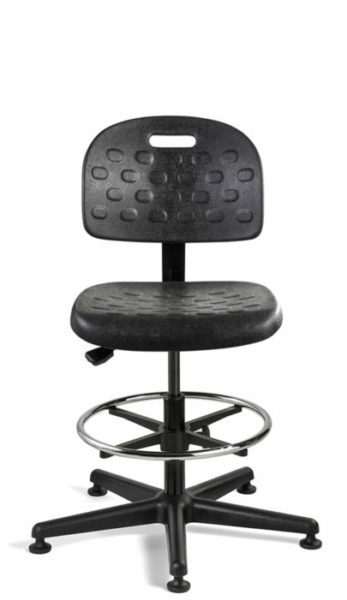 Bevco offers ISO 14644-1 rated cleanroom laboratory stools certified for ISO 4, ISO 5, ISO 6 and ISO 7 classes. Bevco also manufactures ESD/Cleanroom combination seating solutions for controlled environment applications that require static control. 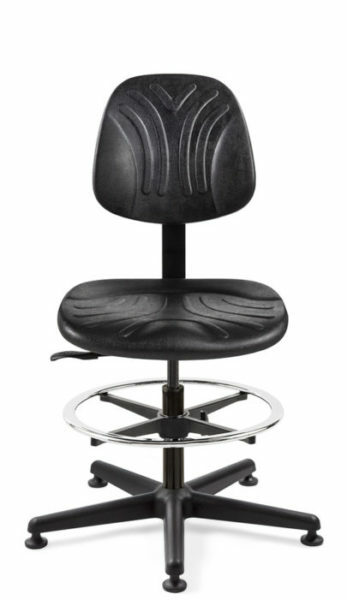 If you’re unsure which Bevco laboratory stool will best meet your needs, call us today (800-864-2991) for a free consultation to help you determine the exact model # that will increase the employee wellness and productivity in your lab. Bevco also offers a hassle-free sample program that allows you to try any lab stool risk-free for 30-days.